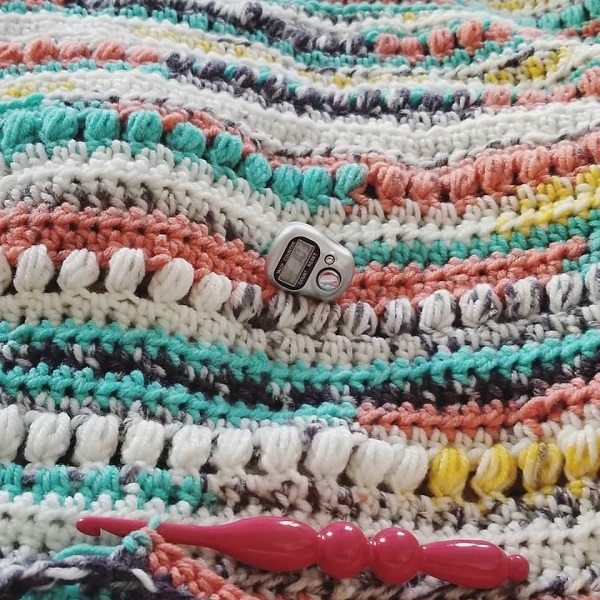 When I first learned how to crochet, all I made were blankets... Granny square blankets. But over the years I've become more adventurous with crochet, and I like to keep it fun and funky! A few months ago, I stumbled upon the Sawyer Scarf by @SierraCrochetCrafts, and I knew I just had to try the pattern soon! 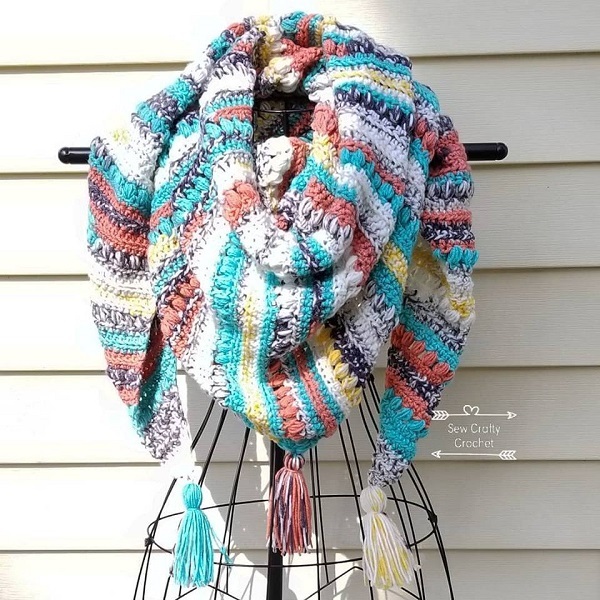 I fell in love with the scarf, and I knew it would look great with a variegated yarn! And I knew my favorite yarn (Painted Canyon by I Love This Yarn) would be perfect for this pattern. I started working on the scarf in December, but I took a break from it to work on Christmas projects. And then it took a while for me to get back to work on it until I found the Marching Forward WIP Along. I thought of a few projects that I needed to finish. I didn't finish all four projects in the picture above, but I didn't finish two and worked on the third one a little. I believe row 83 was the halfway mark. I worked on the scarf while waiting for my children to finish their appointments. 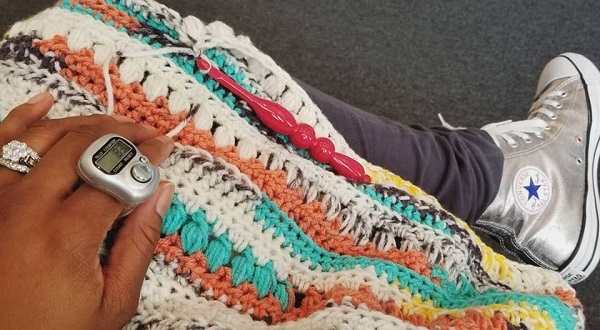 I love to crochet on the go! I love the puff stitch rows in this pattern. And with this yarn, they really stand out! 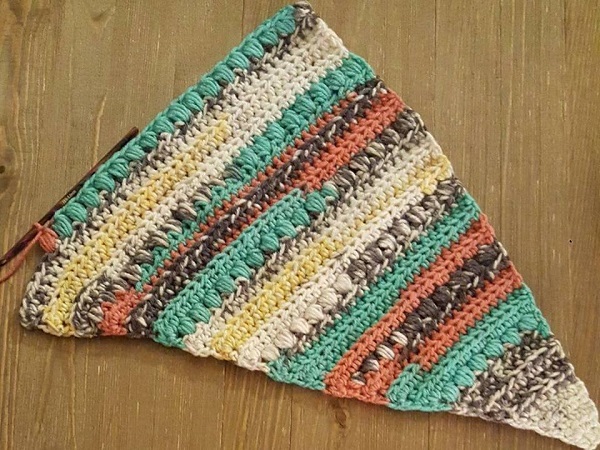 This triangle scarf is large, warm, and cozy. I look forward to wearing it in the winter. I love the tassels on the ends. This was my first time making tassels, and I used a Tassel Maker . I enjoyed making this scarf. 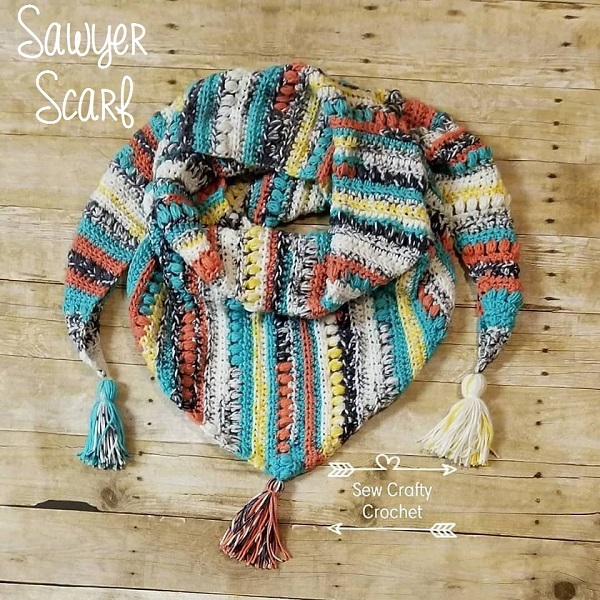 The Sawyer Scarf pattern by @SierraCrochetCrafts is fun and easy to follow. I plan on making another Sawyer Scarf soon with another one of my favorite I Love This Yarn colors, Danburry Road. Very nice. I love the combination of colors! Thanks, Liz! 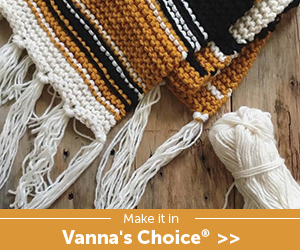 This yarn is one of my faves because the color combo is gorgeous! What an amazing and unique scarf. Do you sell them? Love the colors and shape too! Thanks! I made this scarf for myself, but I do plan on making a couple more for my Etsy shop. That looks so beautiful! Pinned. Wow I love this scarf you made as it's so beautiful. I would love to make one too. I love the colors of that yarn. Beautiful colors and I love the tassels at the points. I've been admiring this on Instagram as it's grown, this yarn is a really lovely colour combo isn't it? And those tassels are a perfect finishing touch. Thanks! Yes, this yarn is one of my favorites. The colors are so perfectly pretty together. What a beautiful scarf! I've been looking for a new project to start and now I've found it. Thanks for sharing at the This Is How We Roll Link Party. Thanks, Susan! Yes, definitely give it a try. It's a fun pattern. Beautiful funky scarf, I love the wool and the way its shaped. Beautiful. I absolutely adore this design! It's gorgeous. I want one. 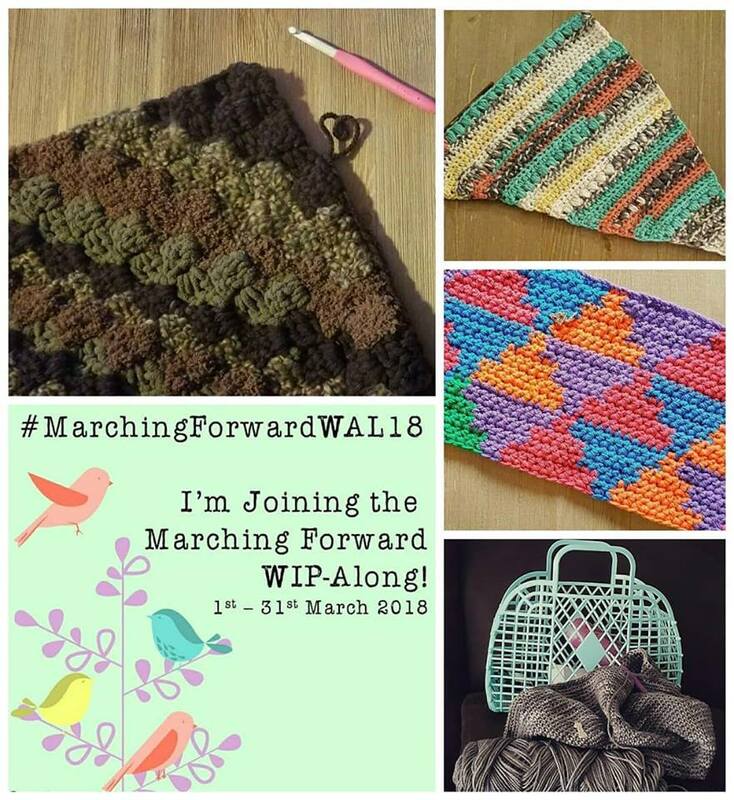 Love the yarn & the stitch! 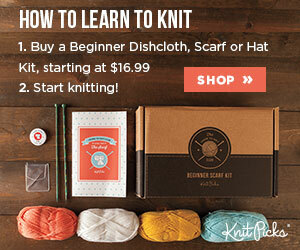 You're right, the yarn colors really make that puff stitch stand out. Pinned! 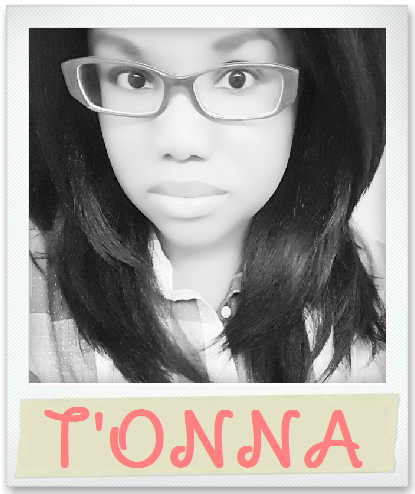 This is beautiful, T'onna! 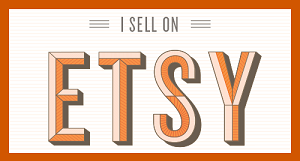 Just like all of your crochet items! Next time, model one for us! You are so right. That is one funky scarf. Love the wool you have used. Thank you! The yarn is I Love This Yarn in Painted Canyon. The colors in this yarn are incredible! Beautiful scarf. Pinning for later! I would love to make this scarf, and get me some of that yarn. Thanks! This yarn is my favorite! It's I Love This Yarn in Painted Canyon. Fell in love with Painted Canyon. I'm waiting on it to be delivered. 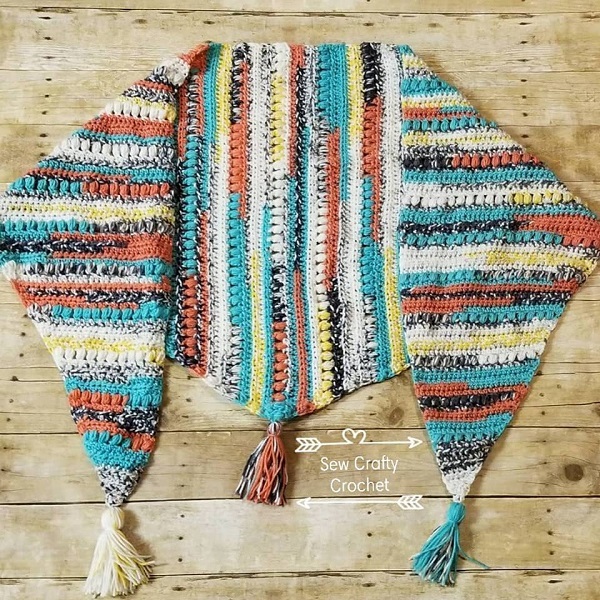 I know at once I would use it for and old pattern called "Scraps of Beauty". One of my favorite patterns ever!